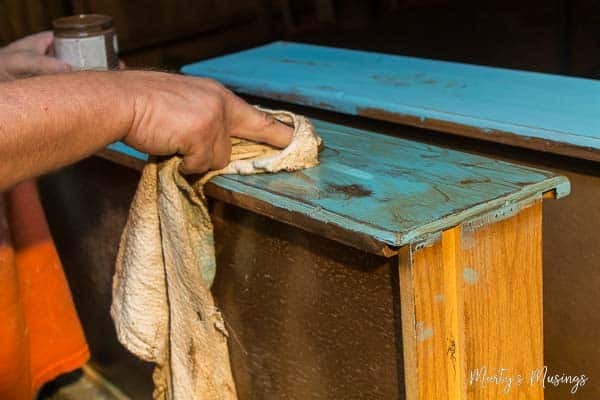 Don’t throw away that old furniture! 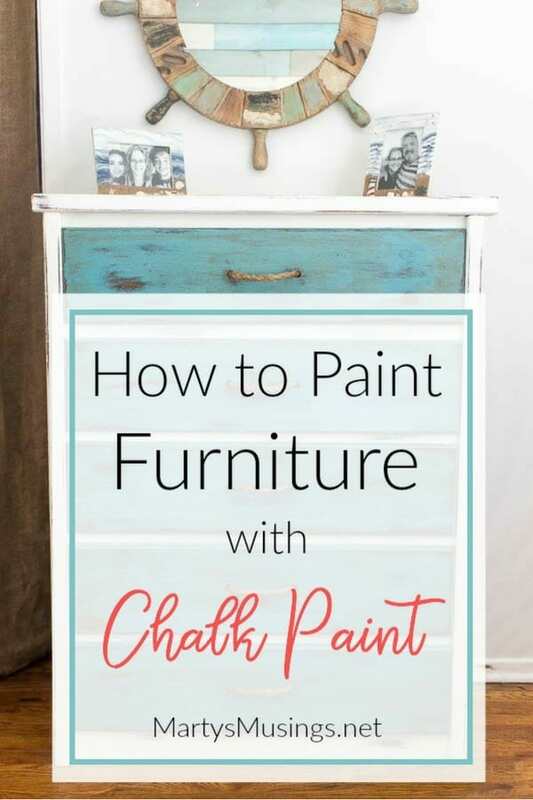 Learn to take an ugly, beaten up piece and transform it with this how to paint furniture with chalk paint tutorial. 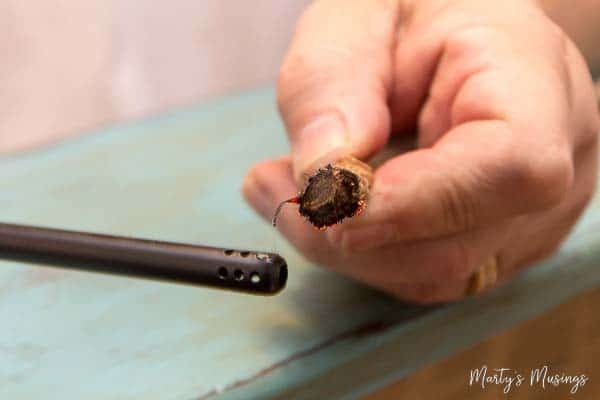 Easy step by step instructions and supplies below! If you took piano lessons when you were a child raise your hand. I see you. I feel your pain. My MawMaw who lived with us was the one who made me practice every afternoon and it was a thankless chore for both of us. I really loved to play but I didn’t love to practice. However, I LOVED to sing. Somehow this painfully shy kid found the courage to sing at both church and school, achievements that were huge for my four-eyed, picked on self. 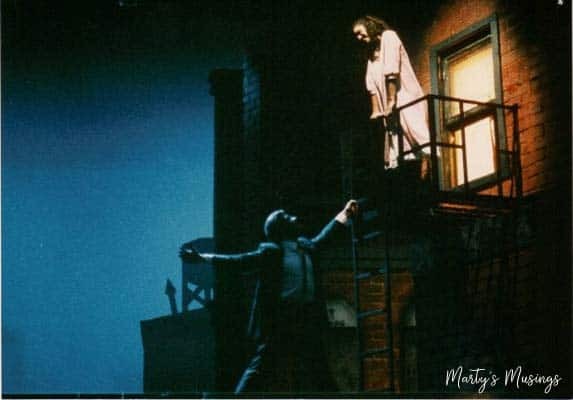 Once I began doing theater performances in high school I was HOOKED. I remember each one like it was yesterday. The camaraderie of the cast, the thrill of opening night and the thunderous applause. Ok, maybe it was just your average mom and dad applause, but there was still clapping! One show in particular taught me valuable lessons that were painful at the time but have served me well since then. 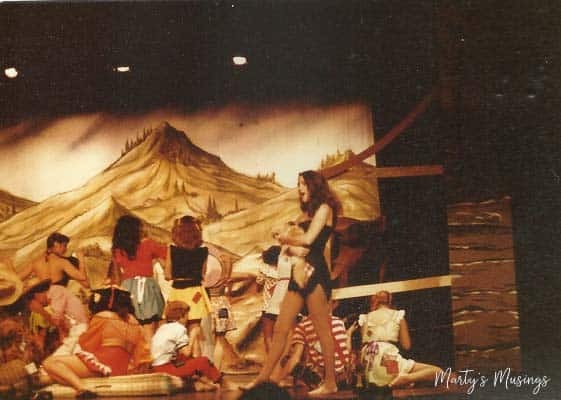 When I was 19 my boyfriend at the time was directing his very first show named Li’l Abner, a musical comedy based on a comic strip about a fictional clan of hillbillies in the impoverished mountain village of Dogpatch, USA. Sounds like a real winner of a show, doesn’t it? I knew I could nail the accent, y’all! And the female lead Daisy Mae? 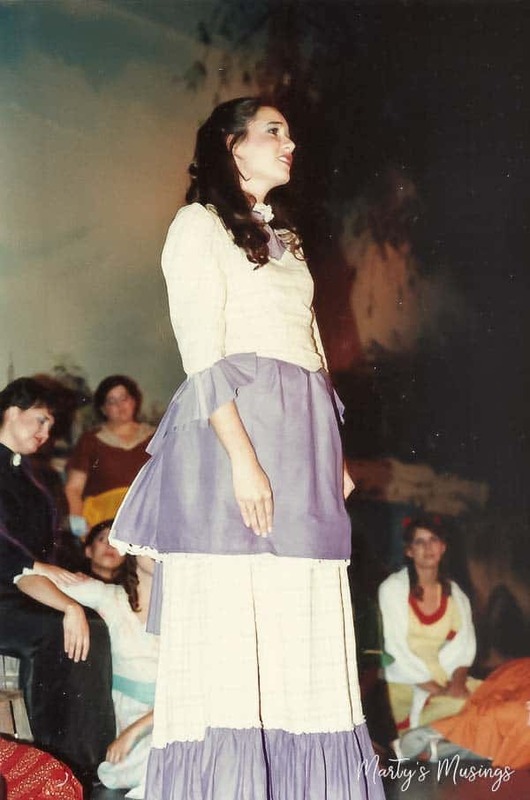 It didn’t matter that I wasn’t blonde or voluptuous, I was perfect for the part! When the cast list was posted my heart was beating fast as I tried to locate my name on the sheet. No. How could it be? One of my very closest friends got the part I knew was mine. I was devastated. I don’t think I spoke to my boyfriend for at least a week. How could he not have chosen me? I was perfect. I was certainly better than my friend. All those voices that poke and prod you in your worst moments of defeat had a field day in my mind. You’re not good enough or pretty enough and you certainly can’t sing well enough to get the lead. Your boyfriend didn’t even pick you. I did, however, get a bit part in the musical and was in the chorus with the rest of my friends. 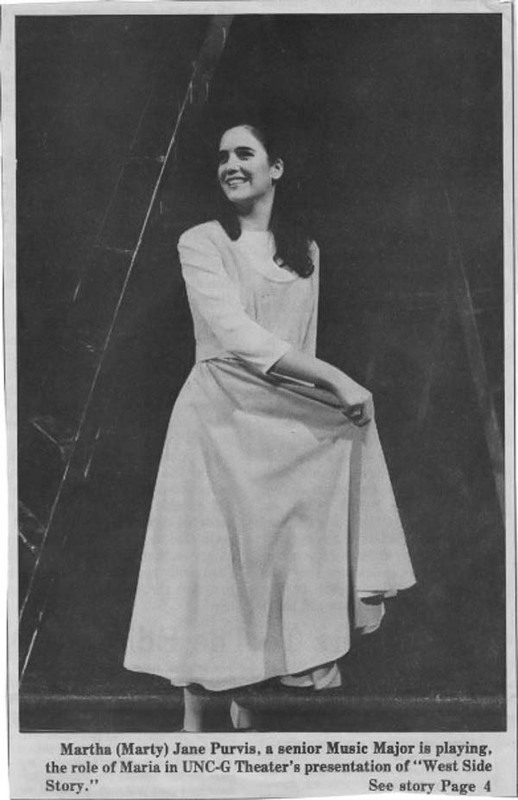 To add insult to injury, though, my role was Moonbeam McSwine, the girl who carried the PIG. Oh yea. That’s right. I carried a pig. On stage. Moonbeam is described as the “only gorgeous woman in Dogpatch that can’t keep a man. She never bathed and preferred the company of pigs to men.” Now that’s a resume builder for sure! These moments of heartbreak can either define or destroy us, make us better or bitter. I chose to learn and grow from the experience instead of allowing it to keep me from my dreams. I believe even now as an adult God continues to teach me to find beauty among the ashes of broken relationships and junk other people throw away. Moral of the story: Don’t give up when disappointment and rejection strike. Learn from the lesson and allow it to refine and make you stronger. 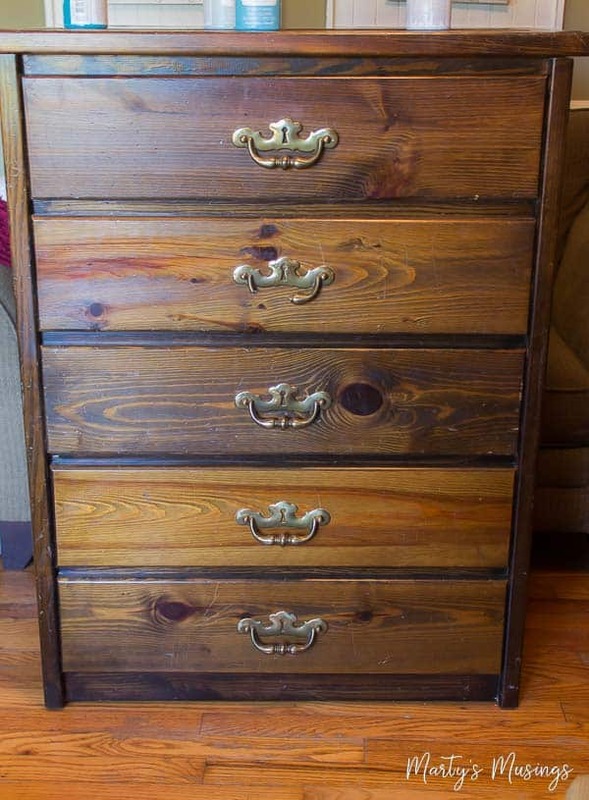 This oh so ugly dresser with the broken handle was beaten up and almost sent to the curb (literally). But there was beauty yet unseen in this solid wood piece of furniture. We just had to invest a little time and effort in discovering its potential. 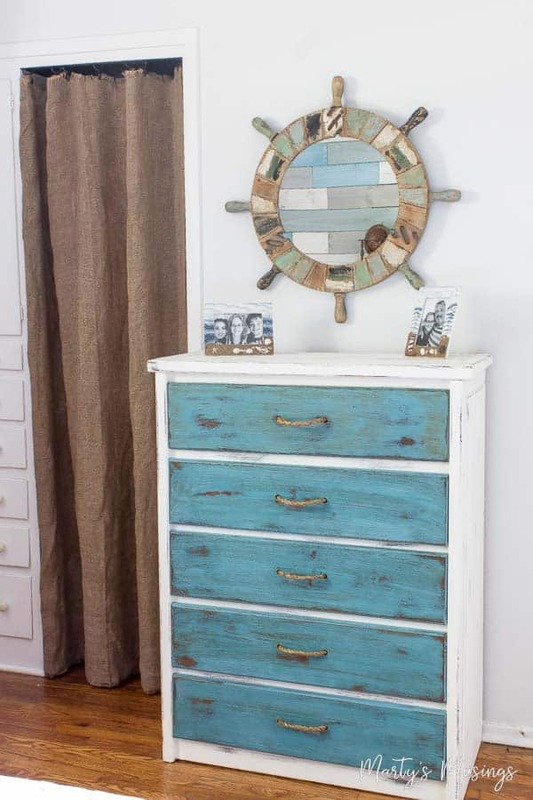 Now it has a starring role in our coastal themed bedroom! 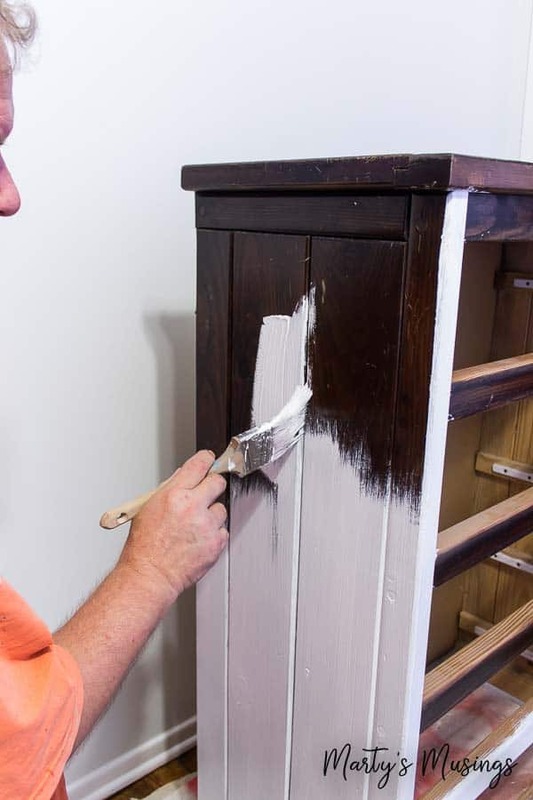 Here’s my hubby to give you the details on how to paint furniture with chalk paint. 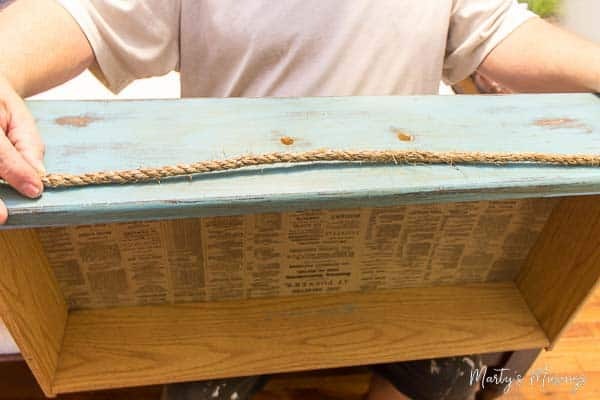 I guess the most important thing to remember about these DIY chalk paint projects (see all our best tips here) is that you don’t have to do them like anyone else! That is the beauty and uniqueness of the projects; nobody on the planet has one just like yours. Deco Art Americana Chalky Paint Everlasting 8 oz. Deco Art Americana Chalky Paint Escape 8 oz. 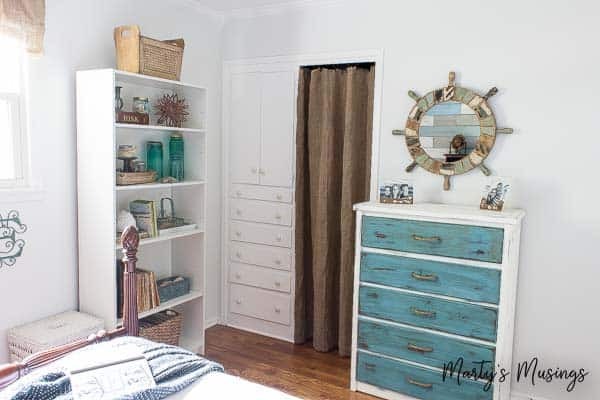 For this dresser, we knew it would live in a somewhat nautically-themed room, so the drawer fronts would be the accent color. 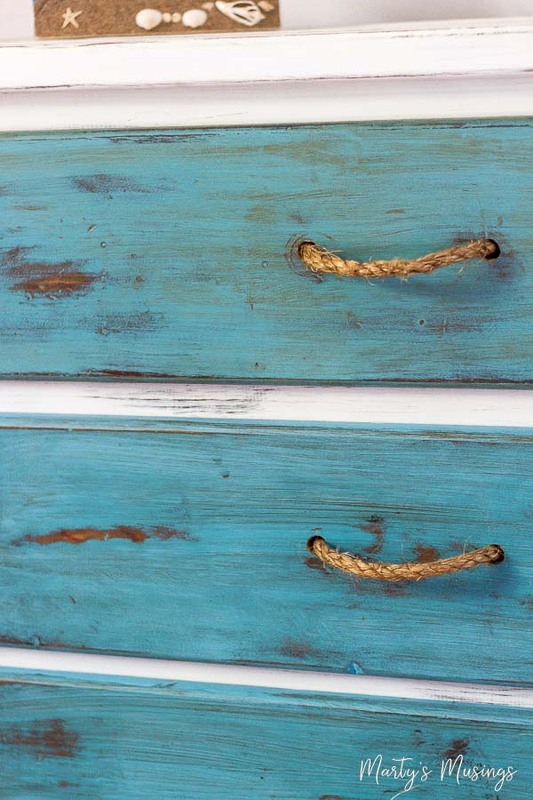 As such, I decided to start with them with this rather dramatic Escape aqua blue chalk paint. As always, no straight line brush strokes here! Criss-cross to your heart’s desire. Distressing is just down the road. 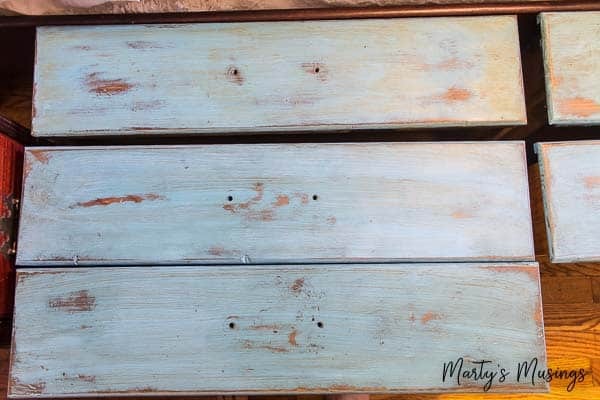 While those drawer faces were drying, I was free to move on to the body of the piece with Everlasting white chalk paint. Pretty drastic change from the dark wood, but this product really covers well. Notice NO PRIMING first!! That is one of the best things about treating pieces this way. However, if your are NOT going to distress at the end, you may want to consider priming with an oil-based primer first to ensure durability. You can also still wax or put polyurethane on top as well. White paint drying…back to the drawer fronts. I felt like the blue was a bit heavy for what we wanted, so I went for the palm sander to distress the wood. You can easily see how much I took back off! Play with this part to suit your taste. The worst that can happen is that you re-coat and start over. 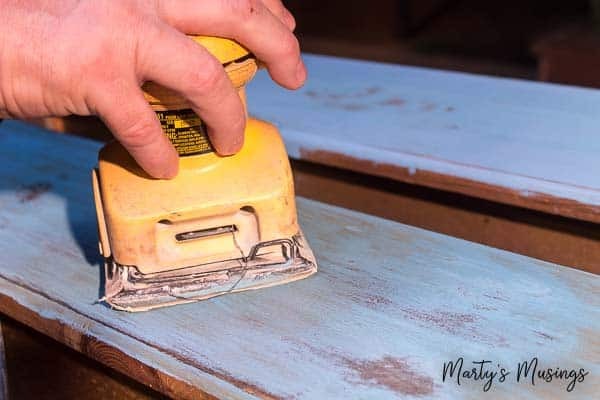 Don’t be afraid to just use sandpaper, a sanding block, or even steel wool instead of a power tool. Again, if you’re not interested in the distressed look skip this part! Here’s a good look at the five fronts together. Pretty fair amount of removal, but I still was looking for a more weathered look, plus I wanted to try something I had never used before…dark wax! So, one final experiment with dark wax. This is very dramatic, especially on white surfaces, so a little goes a LONG way. The more dimensional the surface, the more dramatic the effect; the wax tucks down into those crevices and corners and stays there. Since these fronts were smooth, I merely wanted to highlight the bare wood and “dirty” them up a bit. Apply to the desired degree and then remove to your preference. Pretty simple. 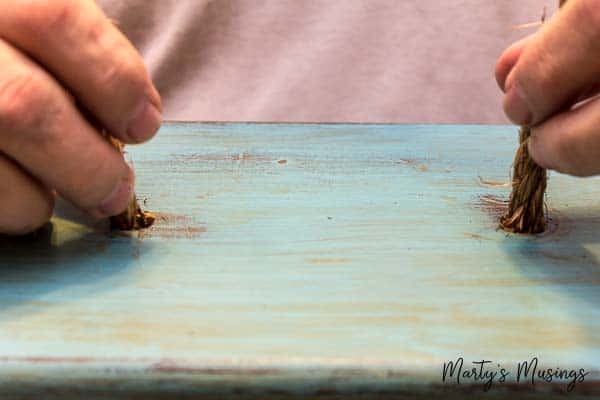 No picture but this step is merely wiping down the piece with a clean cloth. And now we get to the fun part! There was no way “normal” drawer pulls were going back on this piece, so I really pondered a variety of unique options and landed on twisted manila rope for the handles. I could use the existing holes, although they would need to be enlarged, and I could use rope I already had in the shop. While I knew I would have some variation in the end result of each handle, I did want them to be as similar as possible, for functionality if nothing else. The first one sets the template! 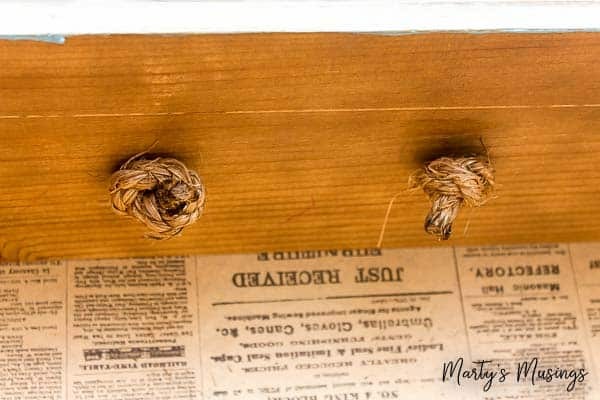 The idea was to feed both ends through the front of the drawer and tie knots on them on the inside of the drawer. 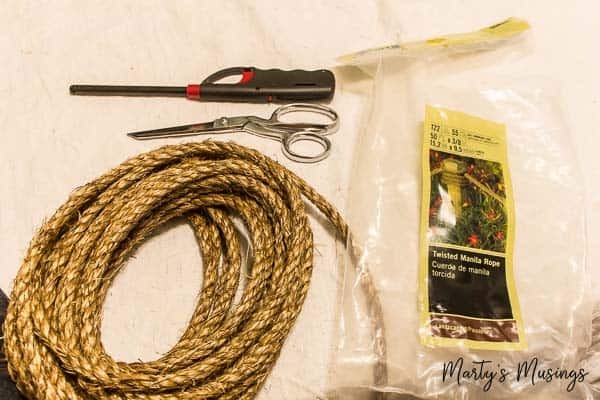 If you’ve worked with twisted rope in any capacity, you know that it’s important to seal the ends so it doesn’t unravel over time. My preferred method is to burn them, forming a hard, burnt crust that bonds the strands together. Careful! We are talking about fire here! Here, my method has been corrected and the ends are inserted from the outside. Then, I simply tied a single knot to hold the loop in place. The key is to just size the outside loop at a comfortable and functional place for the user’s hands, then knot accordingly. Voila! Your own home-made twisted rope handle for a beach feel. This rope looks a bit prickly here, but it’s really fine. It also wears well and softens over time. HEY! The finished product! Pretty cute and a BIG change from the clunky old original. Marty here. 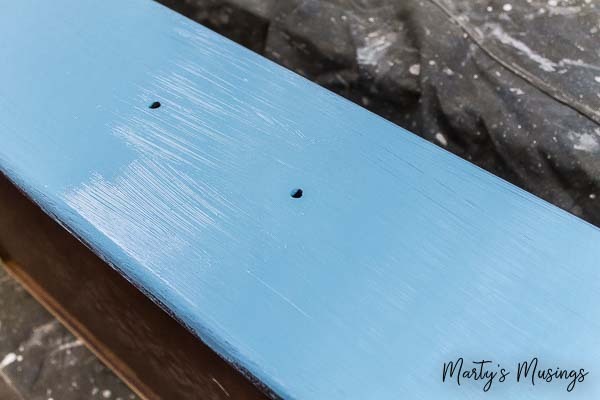 It’s always amazing to me how chalk paint totally transforms a beat-up piece of furniture into a treasured part of a room makeover. My husband did a great job didn’t he? Can you believe this room started out with red walls (read our best tips for painting over dark walls here)? I designed this room from a single inspiration piece and decorated it almost completely with yard sale and repurposed items. It was truly a labor of love. Were you inspired to try something new today? I’d love if you’d share this with a friend! Us budget decorators need to stick together! Just got into Chalk Painting, was inspired by my sister, if she can do it, I can was my attitude. I found a piece at a thrift store a framed mirror that looks like a mirror. I had taken some items to last Saturday and found this gem.. Bought my supplies, I work at Michael’s and love the employee discount! Today, a week later, my husband hung my finished product in the guest bathroom! 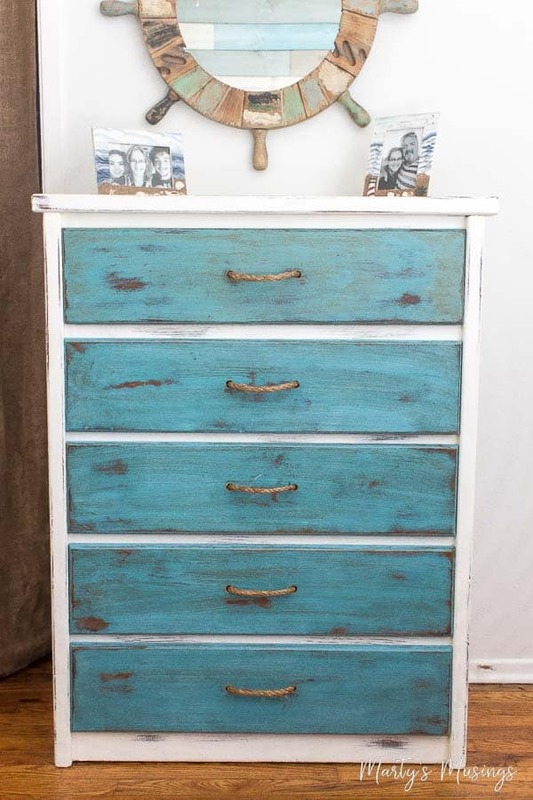 I have a chest of drawers in the guest room and an end table in the sunroom next on my list. I had watched a couple of videos on chalk painting and felt quite inadequate. However, after reading your helpful hints and tips I have new found confidence. Hi, Susan. How great to work at Michael’s! I’d spend all my income there! I know you’ll do great with chalk painting. It really is so easy and I’m no painter. My husband is the real deal. I just do it in home decor and it always turns out great! I never knew I could use chalk paint, thanks for giving this idea. Thanks for sharing this. I will give it a try. I noticed you used the dark wax on the drawers but did you use a clear wax on the sides??? Hi, Pam. Yes, we did use a clear wax on the sides. I will add that info to the post. Thanks!